Employee furloughs have forced the National Transportation Safety Board to suspend practically all accident investigations and continue to prevent officials from even determining whether future probes of specific crashes may be warranted, according to information released by the agency Friday. Roughly 93% of the NTSB’s 397 employees are off the job as a result of the partial government shutdown, the data indicate, with a total of more than a dozen small plane crashes and railroad accidents left untouched that otherwise would have prompted on-site visits by NTSB staff. The only exceptions to the investigative freeze are four board experts helping download and analyze the cockpit-voice recorder recovered from the Lion Air passenger jet that crashed in Indonesia at the end of October. Also, a single NTSB staffer is helping Korean investigators delve into an engine problem on a Korean Airlines aircraft. The agency, which isn’t part of any federal department and has independent authority to investigate accidents and recommend safety enhancements, said all five of its board members plus 21 staffers have been exempt from furloughs since the partial shutdown kicked in last month. The summary released Friday didn’t specify whether those personnel are being paid. Many air-safety regulators at the Federal Aviation Administration were called back to work recently to continue monitoring airline operations and conduct other essential work, without being paid. 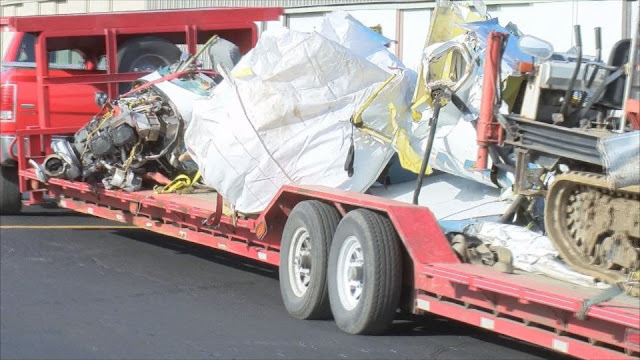 The NTSB likely won’t engage in such recalls, according to government and industry officials. That is because the safety board would have to demonstrate that the work slated to be done couldn’t be delayed without a significant negative impact on human life. Since many of the accidents affected so far are fatal private plane crashes that typically don’t involve the public or have broad safety ramifications, the agency hasn’t been able to meet that bar for launching investigations. In the case of airliner crashes or major pipeline, train or marine accidents, the NTSB has more leeway and a stronger legal basis to call investigators back to work, according to industry and labor officials. The NTSB’s situation is likely to prompt escalating criticism from Democratic lawmakers if the current funding impasse drags on longer. Overall, the agency said it has refrained from any action to look into some 70 accidents nationwide—ranging from plane crashes to highway accidents to a train derailment—most of which would have entailed collecting data but stopped short of sending investigators into the field. In addition, the agency said it has had to delay rolling out its annual list of highest-priority safety improvements, and pushed back a public hearing on a charter jet carrying the University of Michigan’s men’s basketball team that ran off the end of a runway in Ypsilanti, Mich., in gusty winds nearly two years ago. The agency plans to respond to crashes on a case-by-case basis, even as numerous internal meetings to discuss safety matters have been canceled or delayed. This strikes me as not much of a problem. Insurance companies actually are pretty good at conducting such investigations. To the extent they need particularly specialized expertise, they can hire the National Transportation Safety Board furloughed experts on a temp/consultative basis. The added cost of that to the insurers can be added to the payout required of an accident's/incident's responsible party(s). When the National Transportation Safety Board reopens for business, it can formally validate the insurance companies' investigations or reject them for a de novo National Transportation Safety Board investigation. I would kindly disagree that the fox should be made in charge of the hen-house and hire non-employed hens to collect information to seek an advantage. "formally validate the insurance companies' investigations"
In other words duplicate the effort and cost as much or more? Take a look at most insurance companies' list of what is not covered. It is a much longer list than what is covered. Look at your premiums. They are always too high.